As the biggest investment you are likely to make and the largest asset you will own, it is important that you put in place the right kind of insurance to protect it from damage or loss. Buildings insurance – providing cover for the structure of the property such as the walls, foundations, and roof as well as fixtures and fittings such as fitted kitchen units and bathrooms. Contents insurance – giving you cover for all of the things that make your property a home; from furniture and soft furnishings to white goods as well as your personal possessions such as clothes, jewellery, and computer equipment. Combined policy – this type of policy provides cover for both the external building and what you keep in it and often works out cheaper than having 2 separate policies. If you live in rented accommodation however you will typically only need contents insurance as your landlord will cover the cost of the buildings cover. It can often be difficult to know the exact amount of cover you will need to protect your home and its contents which is why working with a general insurance broker such as Key Solutions will ensure you are adequately covered. There are also a number of optional extras to consider such as accidental damage, personal possessions away from home, legal expenses and home emergency cover all of which will impact on the premium you pay and the cover you have. There are also a number of optional extras to consider such as accidental damage, personal possessions away from home, legal expenses and home emergency cover all of which will impact on the premium you pay and the cover you have. Our experienced advisers will discuss your home and its contents with you in detail along with the optional extras available so that we both have a clear understanding of the level of cover you need. With access to a large panel of leading 5 star Defaqto rated underwriters, we can then source the right policy for your circumstances. 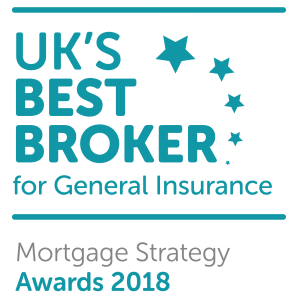 In 2018, out of all the brokers within the UK, we won ‘Best Broker for General Insurance’ at the Mortgage Strategy Awards, which was awarded to us for delivering the best service to clients. So you can be sure we’ll always provide a personal service tailored to your needs. Alternative accommodation to temporarily relocate you and your family, including pets should your home be uninhabitable.